Join Sister Jean Marie Holup for a directed, extended weekend silent retreat. The retreat will provide a contemplative atmosphere with time for prayer, Liturgy and a private meeting with a spiritual director. This retreat is spent in silence and prayer. Sister Jean Marie Holup is a Sister of Saints Cyril and Methodius and the director of Saint Cyril’s Spiritual Center. She received her M.A. in Spirituality from Creighton University, Omaha, Neb., and completed her practicum at the Jesuit Center for Spiritual Growth, Wernersville, Pa. During her time as a spiritual director, she has witnessed the profound insights discovered through the working of the Holy Spirit throughout each person’s spiritual journey. 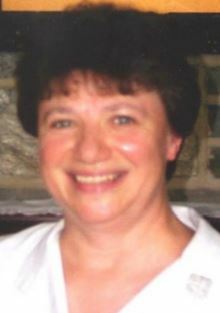 She has been involved in retreat work on the East Coast, in several Midwestern States and in Nova Scotia, Canada. For the past 25 years, her joy has been to accompany laity, clergy of various denominations and religious men and women on their spiritual journeys. Sister Jean Marie enjoys singing, dream work, creating sacred life patterns with collage and walking in nature.